The public’s concern about adverse events, especially death, immediately or soon after vaccinations is very disruptive to vaccine uptake, leading to increased morbidity and mortality of vaccine-preventable diseases. For example, a 2009 Japanese study that showed 107 deaths following H1N1 influenza A vaccination, assumed a causality between the vaccine and the deaths without any evaluation of background rates of of deaths, which would help indicate whether there was any significance to the death rate or even if its related to the vaccination. Vaccine mortality is one of the most abused terms in discussions about vaccines. It has been demonstrated that passively reported data, that is, data that isn’t actively investigated by trained researchers, cannot be used to assess causality. In an active investigation, it was found that only 2 of the 107 deaths had an autopsy performed, and most of the others had other underlying diseases and conditions that were causally related to the mortality events. Furthermore, 15 million people were vaccinated with the H1N1 seasonal vaccine, and it would be expected that there would be >8000 deaths during the 20 days after vaccination using a crude mortality rate in Japan. Though it would still be a misuse of statistics, there really is more evidence that the H1N1 vaccination lowered the background death rate from 8000 to 107 post vaccination. Vaccine deniers, especially in the USA, use passive data from the Vaccine Adverse Event Reporting System (VAERS), a system where individuals can report supposed adverse events post-vaccination, to “prove” certain adverse events. The reports can be made online, by fax or by mail. However, there are no investigations to show any type of causality between the vaccination event and the claimed mortality that are reported to the VAERS database, and, frankly, it can be gamed by those with nefarious intentions. VAERS is a feel-good system for those who think that there’s a link between vaccines and something terrible, but without an active investigation, the data is just above the level of totally meaningless. Most epidemiologists know it is valueless. Even the VAERS system itself says that the data cannot be used to ascertain the difference between coincidence and true causality. There is a background rate for mortality, across all causes, irrespective of whether an individual is vaccinated or not, and unless you understand the background rate, the vaccine “mortality” rate has no scientific meaning. In fact, we could provide a Starbucks coffee drinking in the car “mortality rate”, which may or may not have any causality whatsoever. The Vaccine Safety Datalink (VSD) is a collaborative effort between CDC’s Immunization Safety Office and 9 managed care organizations (MCOs). The VSD was established in 1990 to monitor immunization safety and address the gaps in scientific knowledge about rare and serious events following immunization. The VSD includes a large linked database that uses administrative data sources at each MCO, most of which are high-quality, modern organizations that carefully track patients after immunizations. Each participating site gathers data on vaccination (vaccine type, date of vaccination, concurrent vaccinations), medical outcomes (outpatient visits, inpatient visits, urgent care visits), birth data, and census data. This data can be used to develop high quality epidemiological data that can establish or refute causal links between vaccinations and various adverse events, including mortality. In a study using the Vaccine Safety Datalink, investigators analyzed four years of data, between January 1, 2005, and December 31, 2008. and determined that background mortality rates (rates of death irrespective of cause) are crucial in interpreting the numbers of deaths following vaccination. Their major conclusion: the VSD mortality rate following vaccination is actually lower than the general US population mortality rate, while the causes of death are similar. In other words, if you look at the mortality rate post vaccine in a passive system like VAERS, without context of the general mortality rate, you can be lead to a bad conclusion. 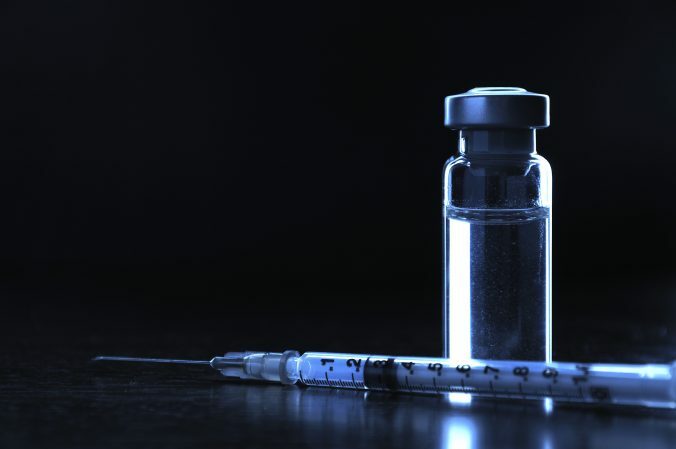 “Determining the baseline mortality rate in a vaccinated population is necessary to be able to identify any unusual increases in deaths following vaccine administration,” says lead investigator Natalie L. McCarthy, MPH, an epidemiologist at the Centers for Disease Control and Prevention (CDC). VSD mortality rates demonstrate a healthy vaccinee effect where rates were lowest in the days immediately following vaccination, most apparent in the older age groups. The healthy vaccinee effect suggests an avoidance or delay of vaccination when an individual is sick, leading to lower background rates of illness or mortality immediately following vaccination. “Although there is currently no evidence to support a causal relationship between vaccinations and death, this study provides background mortality rates following vaccination to be used as a baseline when examining the safety profiles of new vaccines and during mass immunization campaigns,” adds McCarthy. Among 13,033,274 vaccinated people, 15,455 deaths occurred within 60 days following vaccination. The rates were highest in people of age 85 years and older, and increased over the period following vaccination. Eleven of the 15 leading causes of death in the VSD and NCHS overlap in both systems, and the top four causes of death were the same in both systems. Death on the day of vaccination was rare (132 out of the nearly 25 million vaccine doses, or less than 0.001%). For children aged less than 1 month, the death patterns observed in VSD are consistent with National Center for Health Statistics (NCHS); most neonatal deaths occur within 24 hours after birth. This data refutes the myth that the HepB vaccination at birth has an effect on mortality. In other words, there is no difference between the death rate and cause in the VSD and 2008 National Center for Health Statistics data. None. The main finding from this study was the low mortality rates in the days immediately following vaccination, providing evidence of a healthy vaccinee effect. Although there is currently no evidence to support a causal relationship between vaccinations and death, this study provides background mortality rates following vaccination to be used as a baseline when examining the safety profiles of new vaccines, and during mass immunization campaigns. So this study has two important factors. It is, as a standalone study, shows that vaccinations don’t increase the mortality rate, and in some age groups, reduce it significantly. But it also can be used as a baseline against which we can compare the mortality rates in new vaccine studies (including clinical trials prior to regulatory approvals). This is good science. And vaccines save lives, and we can provide evidence for it. Editor’s note – this article was originally published in June 2013. It has been updated and formatted for readability and clarity. Allred NJ, Shaw KM, Santibanez TA, Rickert DL, Santoli JM. Parental vaccine safety concerns: results from the National Immunization Survey, 2001-2002. Am J Prev Med. 2005 Feb;28(2):221-4. PubMed PMID: 15710279. Chen RT. 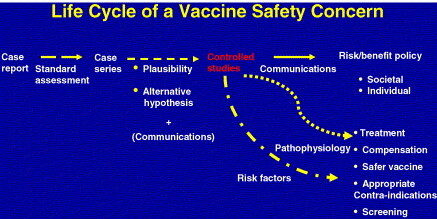 Evaluation of vaccine safety after the events of 11 September 2001: role of cohort and case-control studies. Vaccine. 2004 May 7;22(15-16):2047-53. Review. PubMed PMID: 15121321. McNeil MM, Broder KR, Vellozzi C, DeStefano F. Risk of fatal adverse events after H1N1 influenza vaccine: limitations of passive surveillance data. Clin Infect Dis. 2010 Oct 1;51(7):871-2; author reply 872-3. doi: 10.1086/656295. PubMed PMID: 20809843. Nakada H, Narimatsu H, Tsubokura M, Murashige N, Matsumura T, Kodama Y, Kishi Y, Kami M. Risk of fatal adverse events after H1N1 influenza vaccination. Clin Infect Dis. 2010 Jun 1;50(11):1548-9. doi: 10.1086/652719. PubMed PMID: 20433361.